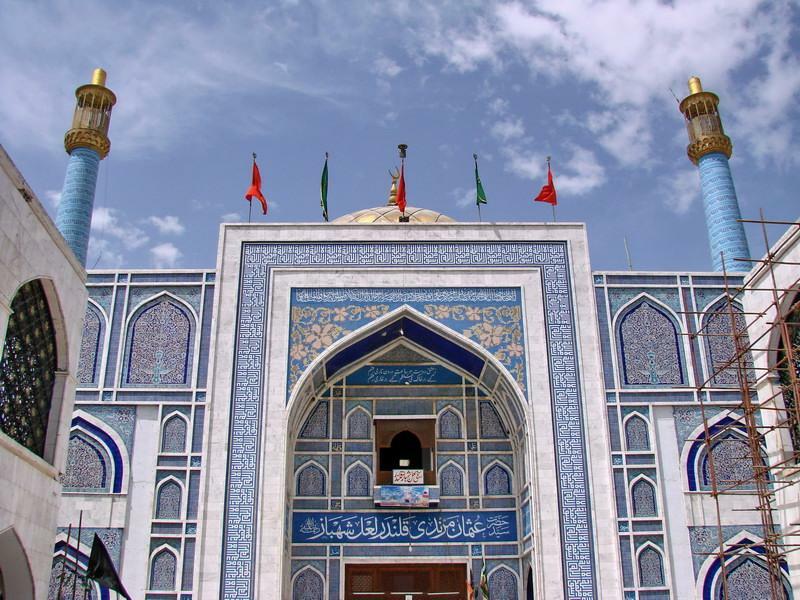 Sehwan Sharif is considered as one of the most important historical places of Sindh. It is situated at a distance of 193 kilometers from Karachi on the right bank of river Indus in the Jamshoro District. 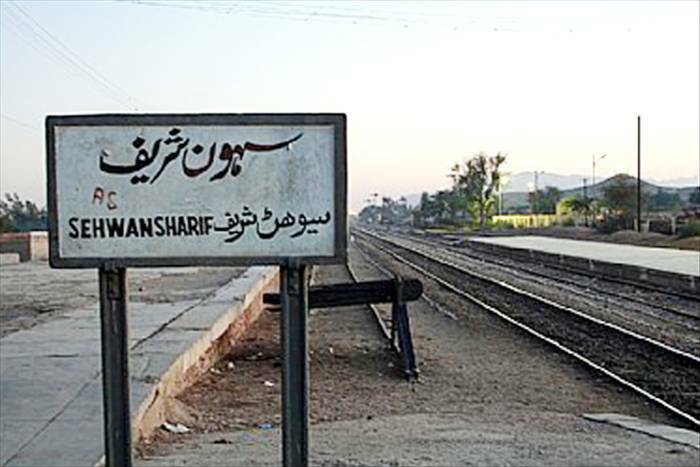 The latitude of Sehwan is 264,333 and longitude is 678,667. It is a small city which comprises of total population of about 41,500 people altogether. Sehwan sharif was conquered by Muhammad bin Qasim when he came to Sindh in the year 711 A.D. After 200 years, Sultan Mahmood Ghaznavi again conquered it. On the way to Umerkot, the Mughal King Humayun attempted to conquer this city but he failed, later on his son Akbar conquered Sehwan Sharif. 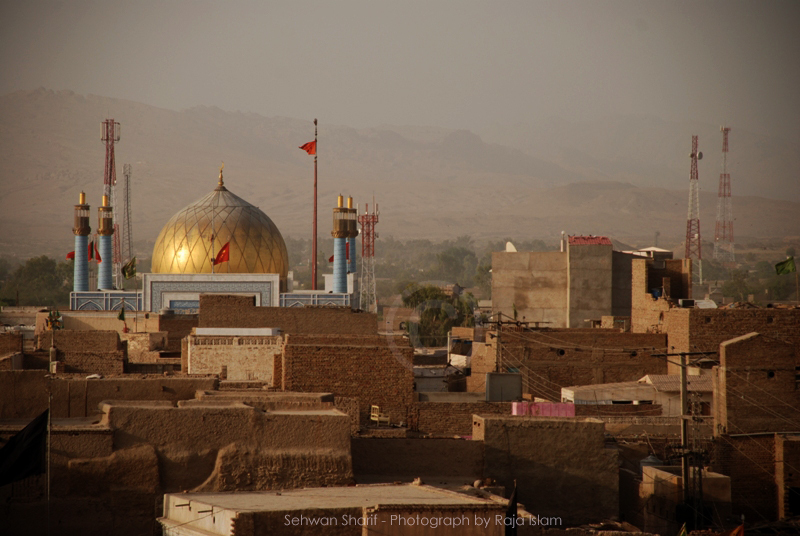 Sehwan Sharif is a place of great Islamic and Historical importance.It is an old town since pre Islamic period. The main reason for its popularity is the shrine of the great Sindhi Poet, Scholar and Sufi saint Hazrat Shaikh Usman Marvandi commonly known as Hazrat Lal Shahbaz Qalander, where thousands of devotees pay visit every year. Hazrat Lal Shahbaz Qalander was born in the year 1177 A.D. in an Afghani family. His father was also a renowned scholar of his times who was known as Syed Ibrahim Kabir Ud Din, who migrated to Iraq then to Mashad e Muqaddas in Iran for learning as it was the center of Islamic learning at that time. Hazrat Laal Shahbaz Qalandar R.A got his early education from his Father and then he migrated to Marwand later to Sindh and started a Madrassah named as Islami Fuqahi Madrassah. His era was known as golden era in Sufism as Moulana Jalal ud din Roomi, Sheikh Baha ud din Zackarya R.A, Khuwaja Farid Ganj Shakar R.A and Hazrat Shah Shams Tabrez R.A were also preaching and teaching in different parts of the world at that time. Hazrat Laal Shahbaz Qalandar R.A also travelled around the world before coming to Sindh and he witnessed the golden eras of Ghaznawi & Ghori empires .He spread the word of love, Peace, fraternity, equality and brotherhood in all over Sindh. He learned many languages and became fluent in Sindhhi, Sanskrit, Persian and Arabic languages. He was called Lal (red) after his usual red Costume, Shahbaz due to his virtuous and heavenly spirit, and Qalandar for his Sufi attachment, which makes him Laal Shahbaz Qalandar and to many he is also known as Jhoolay Laal. Many great saints of Sindh like Shah Abdul Latif Bhittai and Sachal Sarmast are true devotees and followers of Laal Shahbaz Qalander. Hazrat Laal Shahbaz Qalandar R.A met Bahauddin Zackaryah Multani of the Suhrwardiyya Silisila, Baba Farid Ganjshakar of the Chishtiyya Silsila and Makhdoom Jalaluddin Surkh Bukhari. Their alliance became renowned: they are known as Char Yaar ( Four Friends). Some historians claim that Char Yaars has visited various parts of Punjab, Sindh, and in different places of subcontinent to preach Islam. His shrine was built in the year 1356 A.D. The shrine is a masterpiece of Sindh’s traditional art and craft. The shrine is built with Beautiful Sindhhi Kashi Tiles and decorated with mirror work. The Entrance door of the Shrine is gold plated which was a present given by the former Shah of Iran and was installed by the former Prime Minister of Pakistan Zulfiqar Ali Bhutto. 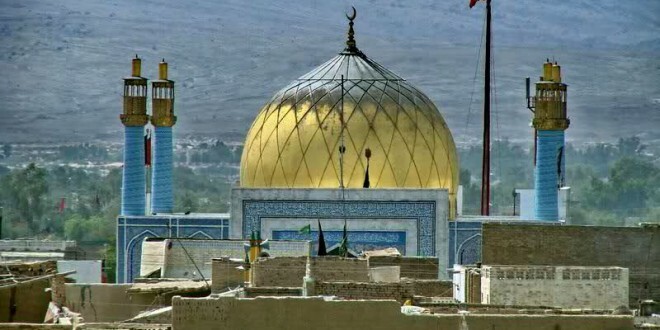 His Urs is held on his Death anniversary on 18th of Shaban (the 8th Lunar month of Islamic calendar) Sehwan Sharif becomes full of life when the devotees of Laal Shahbaz, around the world come to Sehwan to his Urs. The Urs last for three days and all the three days the streets of Sehwan is packed with devotees, fakirs and pilgrims. A huge crowd is gathered on the shrine and they perform dhamaal(a kind of dance leaving self and unifying with device) some present garlands and green chadars, (cloth sheet) hence, everyone express his love towards Lal Shahbaz Qalander in his own way.The followers of Hazrat laal Shahbaz qalandar R.A includes Hindus, Sikhs along with Muslims. We have many times heard a Qawwali “Laal Meri Pat Rakhio Bhala” sung by Abida parveen originally then by many singers including Ustaad Nusrat Fateh Ali Khan, was written by Amir Khusro later improvised by Baba Bulleh Shah to pay tribute to Hazrat Laal Shahbaz Qalandar R.A. There are few stories about hazrat Laal Shabaz qalandar which became famous say that when he was travelling to Sindh from Baluchistan he stayed for a little time in Manghopir Karachi where he use to do meditation (Muraqba), the place where he use to the the meditation was a hill and during his meditation a natural warm water fountain started flowing under that hill, which still runs and its warm water is used to treat Asthma patients. A prominent Teacher of Ghulam Ishaq Khan Institute and known researcher on Sufism Baba Sajid Salim, also tells another story in which an associate Mureed was asked for meat by Hazrat laal Shahbaz. The associated Mureed moved to a township of pagans. The pagans killed the Mureed and ate him. When hazrat Laal Shahbaz came to know about this incident, he called pagans and people saw Mureed coming out of Pegans Stomachs. Do not know what truth is but these stories are strongly associated with Hazrat Laal Shahbaz Qalandar R.A. Sehwan is a great place to visit especially on the occasion of Urs to experience the tradition and culture of Sindh closely.